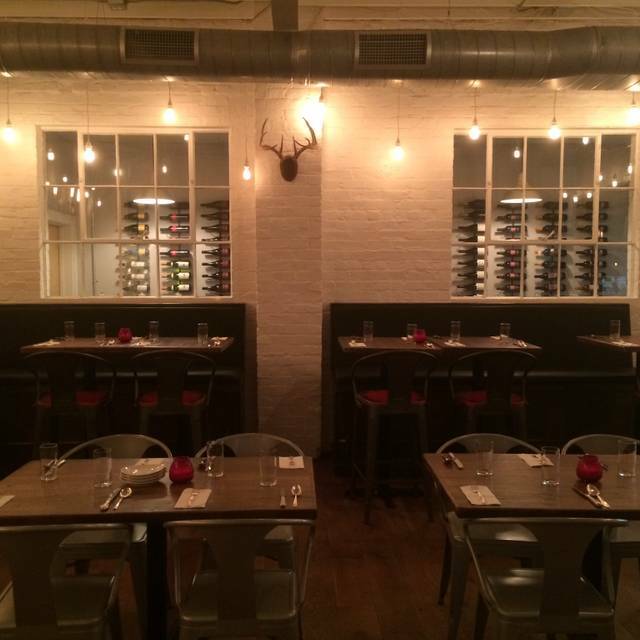 Oakhart Social serves up delicious and eclectic wood fired modern American food for sharing. Head Chef Tristan Wraight and Bar Manager Brendan Cartin create unique seasonal dinner and cocktail menus using the best local ingredients available. Oakhart Social also features carefully curiated craft beer wine lists. 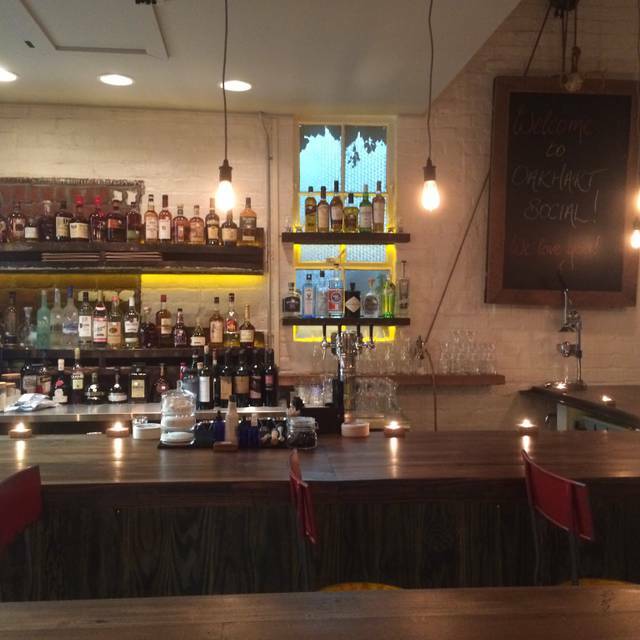 Oakhart Social is located in mid-town Charlottesville conveniently between the downtown mall and UVA . please note that while we do offer reservations, we also hold several tables, the whole bar and our entire patio for walking guests. There is free parking along both sides of W Main St. Two doors to the west of us is a parking lot in front of Shenanigans toy store which is free to our guests. 100 yards to the West of us (just past option 2) is a large free city lot which wraps around the Old Albemarle Hotel and almost always has parking available. We took my Dad here for an after Christmas dinner. He is not easy to please and has dined at some very famous restaurants around the world. He loved the oysters, shaved salad, pork steak, brussel sprouts, pizzas and octopus as did the other 6 in our party. He the last 2 plates he was not crazy about, the lamb ribs were dry and he does not like carrots so that dish got the finger. I loved the charred carrots. It was very loud. I think because that is the nature of the building, brick and concrete. I general it was a wonderful time with delightful plates of great flavors and excellent service. Service and food were awesome! Excellent. Highly recommend. Food and service were top notch. 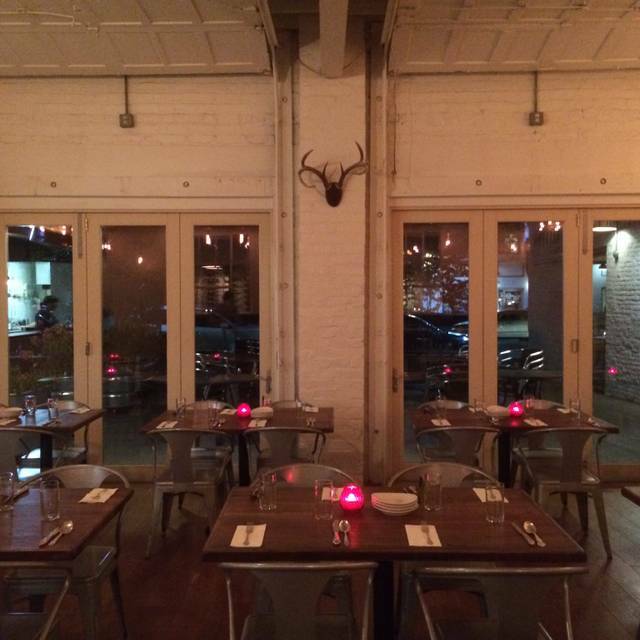 Great vibe, tapas style food, renovated warehouse interior. Great place to hang with friends. The grilled pork steak with grilled pineapple and pole (a.k.a. string) beans was fantastic. The food here is incredibly good. The service was spot on. It was raining outside, so we sat indoors. As the room filled up, it was so loud, we could barely speak to each other without yelling. Not very social at all. Maybe it is by design to keep tables moving. Next time, I will sit outside or not go at all. Such a great meal and excellent service. 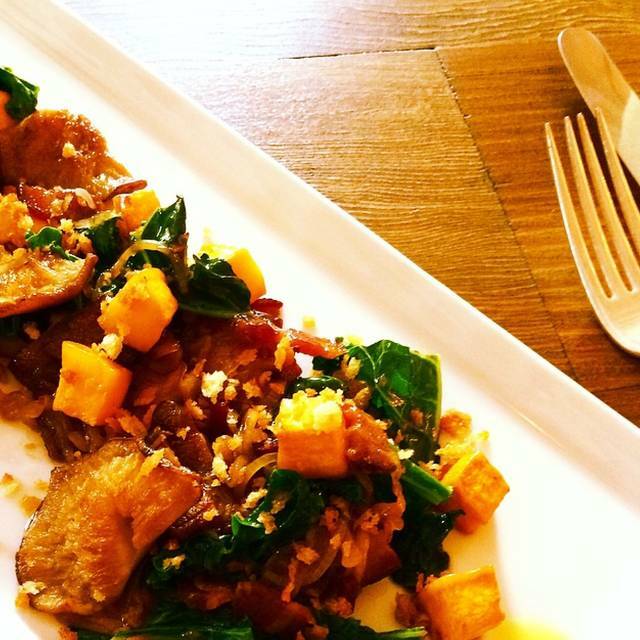 Chef Tristan creates flavorful and creative food that everyone loves. 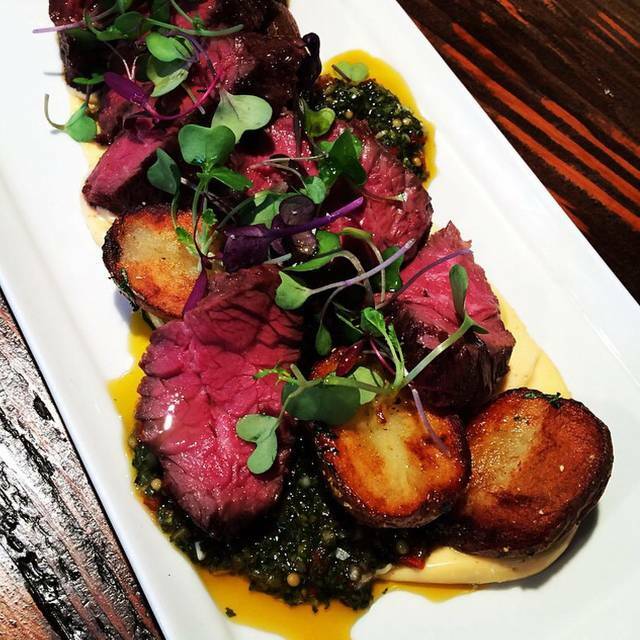 We love Oakhart Social for so many reasons! Oakhart’s food and cocktails are so delicious you’ll dance with delight the entire time you’re there. Do it. Went for a bachelorette party dinner. Food was absolutely fantastic!! The food was great. Service, okay. We had a party of 6 and they added a 20% gratuity to the check. Which was overall fine, albeit generous considering they weren't asking. If a place is going to do that , it's generally communicated on the front end. Oakhart Social was perfect. We came in as a group of 7 for a birthday/bachelorette and it was excellent. Our server was patient, knowledgeable, and attentive. One woman in our party had a honey allergy and they made sure to adjust every dish as best they could to accommodate her. We tried about 10 different dishes and they were all delicious - we talked about the tortellini for the rest of the weekend. And for as happy and full as we were by the end, it was quite reasonably priced. Would definitely recommend and hope to go back soon! Every single dish that came out was better than the last. Really impressive, very happy we found this gem in Charlottesville. We will be back next time we visit. We had the shaved salad, avocado bread to start, finishing with the catfish, flank steak, and tortellini. Everyone in our party of 7 was very pleased with the food and service. Overall good meal and experience. Our only complaint was the noise level. We were a party of 7 and it was hard to talk to everyone. However, the food was amazing! We enjoyed the shaved salad, chicken wangz, hangar steak, and two pizzas. No complaints on any of the food. It was great for a tapas style dinner shared amongst friends. Awesome food as usual, and awesome service. We thoroughly enjoyed it. One of our favorites! Great meal! The atmosphere is very cool. Absolutely delicious! With 6 in our group, we enjoyed tasting a great variety of dishes. Shaved salad and Pate were among our favorites. We enjoyed the food and ambiance ... the only issue was that it was a bit loud for conversation. Food was fabulous and wait staff was very attentive. A bit noisy, but that is truly the only negative from the meal. Would definitely go back again. 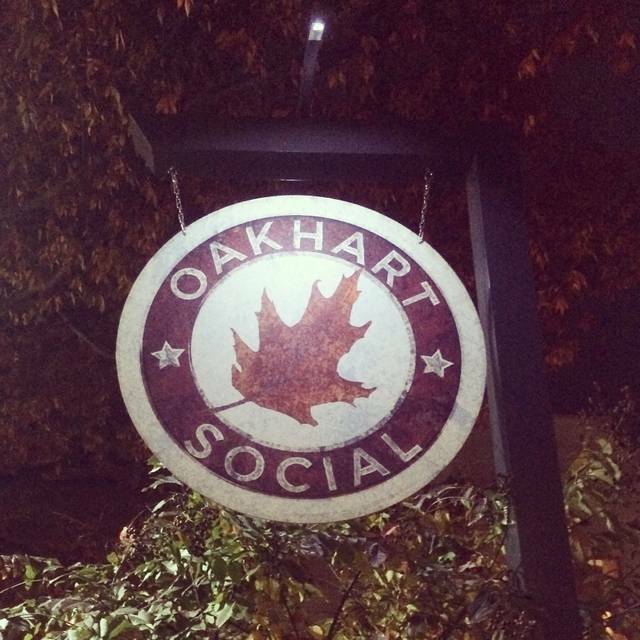 Oakhart Social rocks...food, service, atmosphere, etc, etc, etc.! delicious! Thanks for a wonderful night. Very yummy, nice location, convenient, good for a date or a group. Food was amazing! Really liked the atmosphere and cocktails! It was great — all around great! Only down side is the noise, it is very very loud. Small plates. Even when it says large plates the plates are still small. Food quality is good however. Price is a bit high for the amount of food presented and the restaurant can be very loud when it gets crowded. Wait staff is good. Don’t hover too much after the orders have been taken. Oakhart is not a bad place; just be aware that this is a tapas bar and not a more traditional restaurant. Still, I’d go back. Food was really nice and service was good. My only issue was the noise, but obviously that’s not the fault of the restaurant. Our food was prepared well and served in a timely way. Highly recommend the sausage pizza- very good. I came here on a Sunday night with my boyfriend and it was surprisingly crowded. The food was great and the atmosphere was nice. I highly recommend the brussels sprouts and the wings. My boyfriend and I went to Oakhart Social for a late Valentine's Day celebration over the weekend. 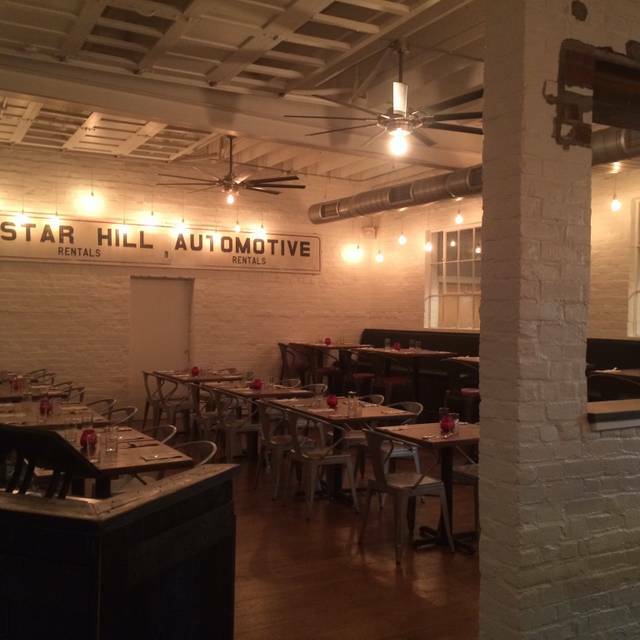 The ambiance is very cool & kind of industrial with white brick walls, big garage doors that open on the the patio and an old Starr Hill Automotive sign that decorates one of the walls. Our waitress was very nice and was great at making recommendations. 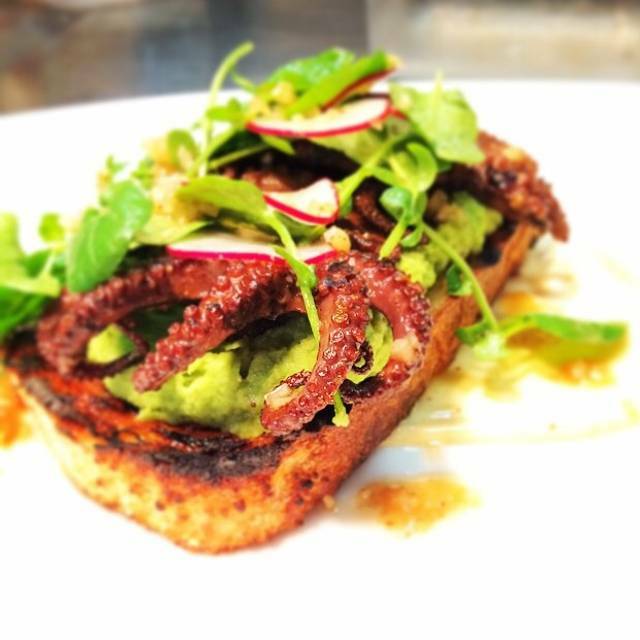 We especially enjoyed the Grilled Octopus & Flora cocktail! We would definitely come back the next time we're in Charlottesville. Went for Valentines Day. So it was crowded. We ordered oysters, Brussels sprouts, sausage/pork tortellini and sausage pizza. Everything was very good. We will go back. Very salty. Extremely difficult to finish the meal without chugging down 3 cups of water! Service was good.. nice waitresses, but they can't be recommending getting 2-3 entrees per person... like what??? People next to us were extremely loud, and it was difficult to even have a conversation with my date. They also shoved their personal belongings into our area of the seat which was quite rude. Would not recommend getting the mulberry drink.. tasted like straight up vinegar. I went here with a friend last minute and the restaurant is so cute! I would also say that the food was very tasty as we ordered a garlic dressing salad, special shrimp pizza and s'mores dessert. The service was a little slow, but we were not in a rush, so we didn't mind as much. great creative meal with well rounded flavors. A bit heavy on the salt, however. Excellent pizzas and squash tortellini. Good prices on on tap wines that don't break the bank. Will definitely return and look forward to sitting on the terrace in the summer! We come here often for business meals with candidates. It’s a great place. The food was very good as was the atmosphere. The restaurant was "easy" -- easy to get to, not overdone, not overcrowded and comfortable. The food was excellent, but not over fancy. Helpings were healthy and prices were reasonable. I went here based on a great recommendation. I would definitely go again and would not hesitate recommending this to a friend. Oakhart Social was fantastic! The food was delicious and portions perfect to share. Waitstaff were knowledgeable and very pleasant. Can’t wait to go back! Excellent meal and fabulous service-thank you for a lovely evening!!! 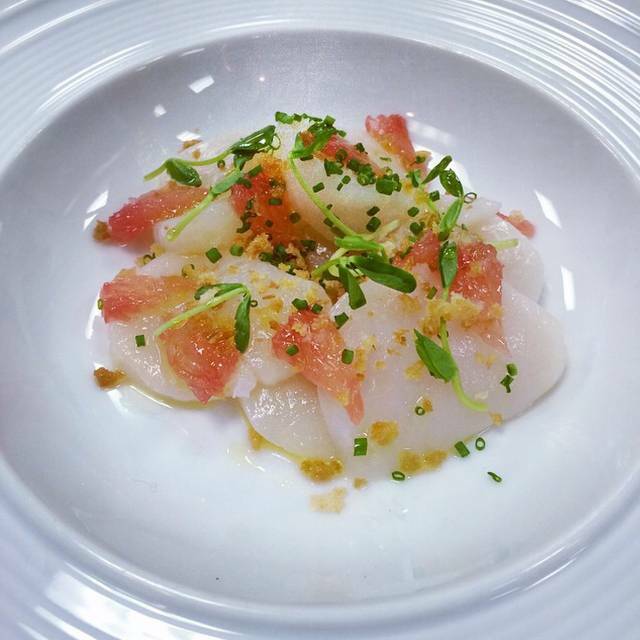 Inventive dishes that were fresh, delicious, beautiful to look at and taste. Polished, professional and friendly service. Handsome interior. I will be sure to go back the next time I'm in Charlottesville! Nice place for some small plates and pizza.